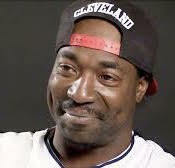 Charles Ramsey, a Cleveland resident, was on his way home when he heard a woman’s scream emanating from his neighbor’s house. Ramsey approached the woman, who claimed that she and other women were being held there against their will. Ramsey called the police on her behalf. The women were then rescued from the house by the police, after a decade of being trapped there against their will.